Getting ready for a road trip is never an easy task. From packing the essentials to the smallest details, your to-do list can easily become longer and harder to manage than you initially expected. In today’s post, we’ll provide you with several tips that will help you prepare your RV for your next big road trip. Whether you need a simple RV tune-up or a full-scale remodel, MobileTech RV Repair has your RV maintenance needs covered! 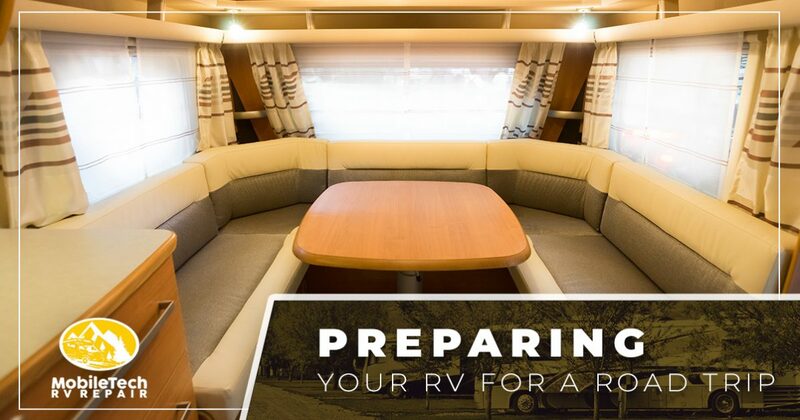 Give us a call at 936-228-8980 to learn more about what we can do for your RV, and read on to learn how to prepare your RV for a road trip! 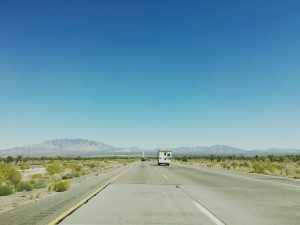 Has your RV been in storage for several months? Whether you’ve been using your RV periodically throughout the year or you’re just now preparing your RV for a big trip, it’s always a good idea to make sure that your battery is fully charged. Batteries can lose up to 10 percent of their charge while in storage, and the last thing you want is to be stranded somewhere along your route. Your RV should have a manual with instructions about how to check the battery, but if it doesn’t, then you can always give our RV technicians a call and we’ll be happy to do it for you. Safety is one of the most important aspects of proper RV maintenance. Whether you plan on sleeping in your RV or you’re going to be making intermittent stops at hotels along your route, you need to ensure that your smoke detector and carbon monoxide detector are working properly. You’re probably pretty confident that you’ll be able to tell if there’s a fire in your RV, but carbon monoxide is odorless and deadly. Exhaust leaks, heaters, generators, and gas appliances can all contribute to carbon monoxide leaks, so take the time to check and double-check your detector before you hit the road — it just might save your life! While you’re taking the time to focus on the safety measures in your RV, you should also make sure that you have a working fire extinguisher and first aid kit on board. Even if you’re confident that you won’t need to use either, you never know if you’ll encounter another driver who does. After you’ve taken the time to inspect your battery and safety devices, you should take some time to freshen up the interior of your RV. Dust off the surfaces in the interior, change the sheets on your bed, and purchase an air freshener that gets rid of the must, just-out-of-storage scent. If you’re looking for a way to really take your RV’s interior to the next level, get in touch with one of our technicians to discuss an RV remodel! No matter where you’re going, investing in RV maintenance is the best way to keep you and your passengers safe on the road. We’re here for all of your RV maintenance and RV repair needs — get in touch with a member of our staff using the online contact form at the bottom of this page to schedule an appointment!